Fort Campbell, KY – Sgt. 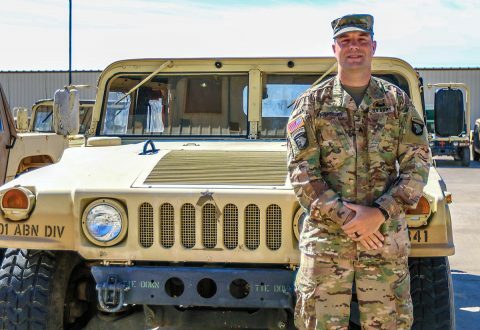 Tyler Presley’s an air defense battle management systems operator assigned to Headquarters and Headquarters Battalion, G-3 Air Missile Defense Section, 101st Airborne Division and Indianapolis, IN native. Presley joined the Army after graduating from Wabash College in Crawfordsville, IN with a bachelor in history and a minor in philosophy. 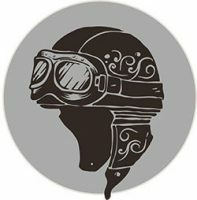 His grandfather and uncle served in the military in WW2 and in the Air Force respectively. Seattle, WA – Jaison Williams and Gunnar Scholato are expected to anchor Austin Peay State University’s defense come fall as the football Govs hope to maintain not only consensus top-25 status but secure a berth in the FCS Playoffs for the first time in program history. 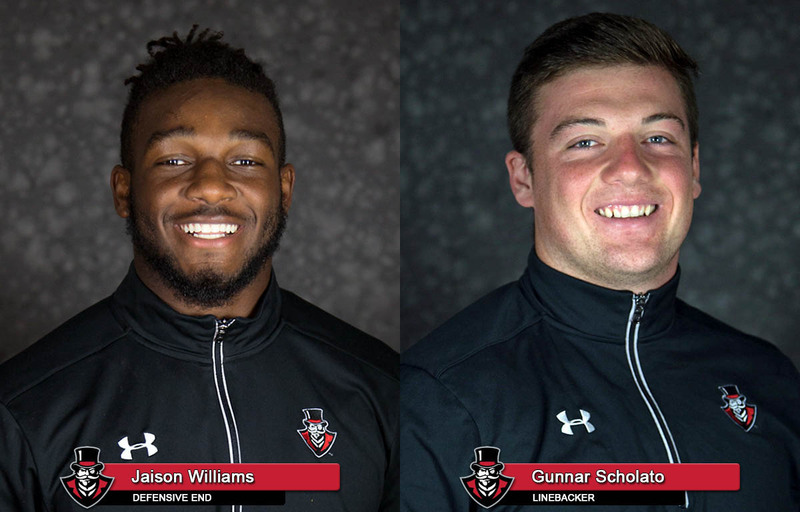 Tuesday, the duo were named HERO Sports FCS preseason All-Americans, with Williams earning second-team honors and Scholato a third-team honoree. In addition, the Governors were picked No. 25 in the HERO Sports FCS preseason poll. 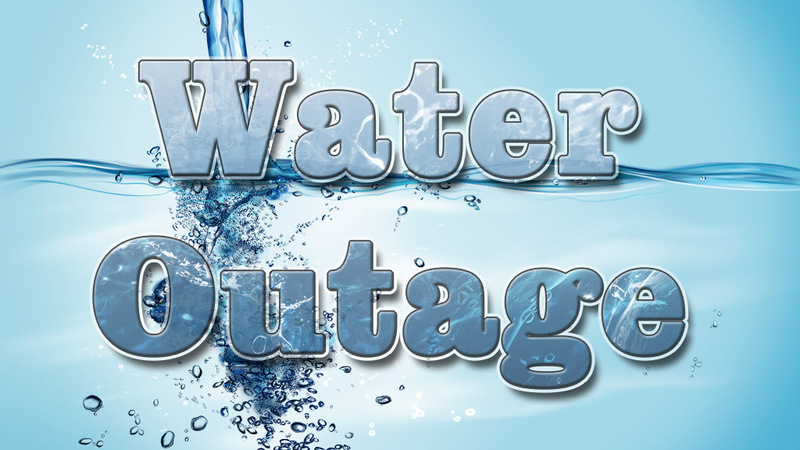 Clarksville, TN – The construction project on Warfield Boulevard continues. 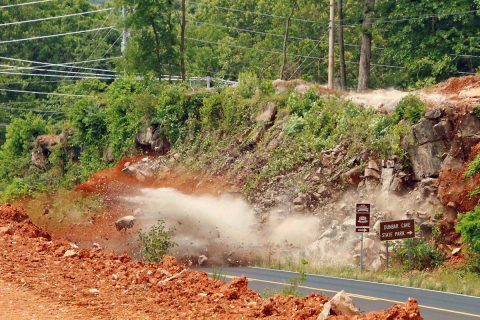 Today they did some demolition work at the intersection of Warfield Boulevard and Dunbar Cave Road. The demolition part was done quickly, but some cleanup was necessary to restore normal traffic. Vehicle traffic was diverted for were diverted for a little over an hour. Demolition work was done today at intersection of Warfield Boulevard and Dunbar Cave Road. 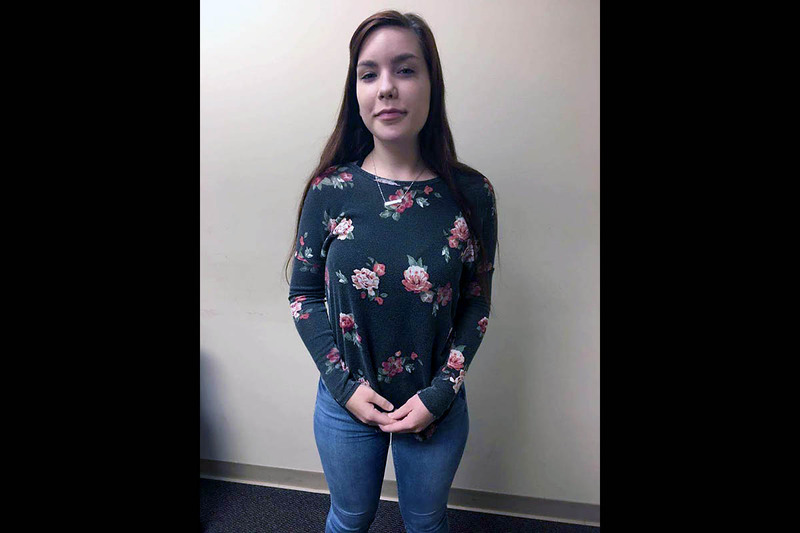 Clarksville, TN – Clarksville Police are trying to locate a runaway juvenile, Katelyn Rhodes, age 17, height 5’2″, 115lbs, with Brown hair and Blue eyes. She was supposed to go to work on June 7th, 2018 around noon, but never showed up. She is still believed to be in the Clarksville area, but has not been in contact with the family. Clarksville Police are looking for 17 year old runaway juvenile Katelyn Rhodes. Clarksville, TN – Manna Café Ministries will conduct a Mobile Pantry food giveaway on Saturday, June 16th, 2018 beginning at 10:00am at Spring Creek Baptist Church at 2760 Trenton Road in Clarksville. Anyone in the community needing assistance with groceries is welcome. 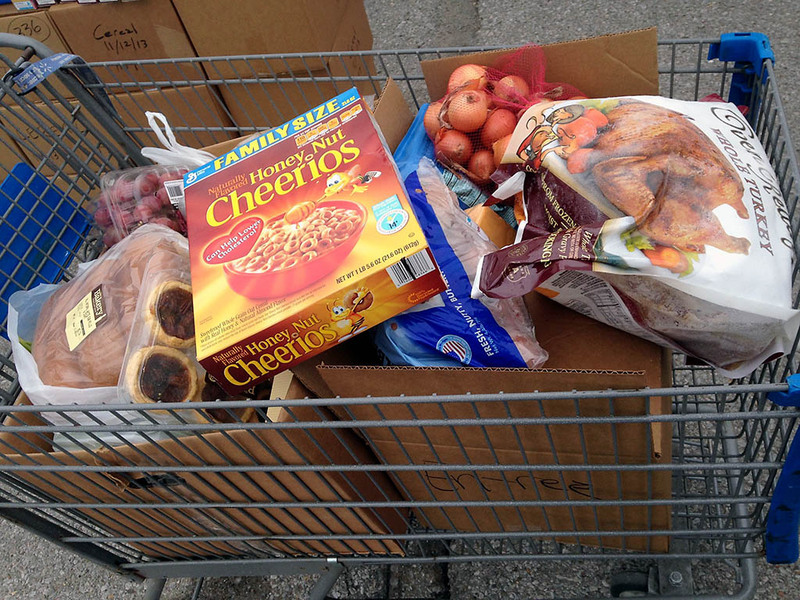 One food box per household. A valid ID must be presented. 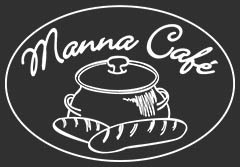 Manna Café Ministries to hold a Mobile Pantry food giveaway this Saturday, June 16th at Spring Creek Baptist Church on Trenton Road. 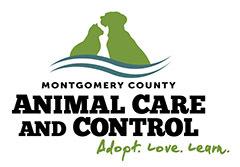 Montgomery County, TN – Montgomery County Animal Care and Control says that although summer does not officially begin until June 21st, the outdoor temperatures have already been averaging 10 degrees higher than average. During these high temperatures, it is important to remember that heat related illnesses in dogs and cats can set in quickly, sometimes within just a few minutes. Dogs and cats are very susceptible to heat exhaustion, often followed by heat stroke if not treated immediately. 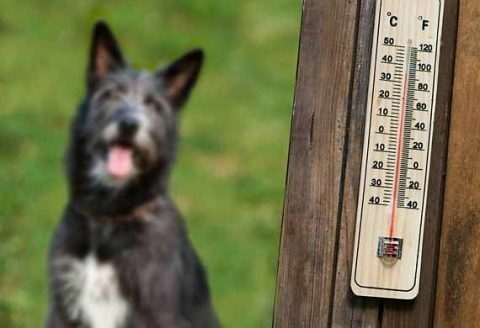 Take Care of Pets During Hot Weather. Clarksville, TN – Clarksville Gas and Water has turned off water service on Parker Drive and Orman Drive in the Boyd Acres subdivision to repair a water main leak. 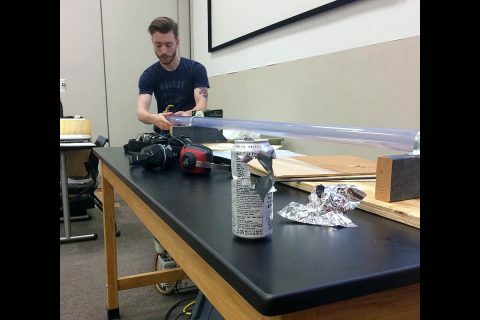 Clarksville, TN – High school students attending the APSU Governor’s School for Computational Physics this summer learned ping pong balls can pierce a piece of ¼-inch-thick plywood. But only with the help of a specially built ping pong cannon. APSU Department of Physics, Engineering and Astronomy constructed a ping pong cannon earlier this year. Clarksville, TN – Clarksville Parks and Recreation Department’s sixth annual Wonder Kids Triathlon for boys and girls ages 3-12 will be at 9:00am, Saturday, August 4th, 2018 at New Providence Pool, 168 Cunningham Lane. 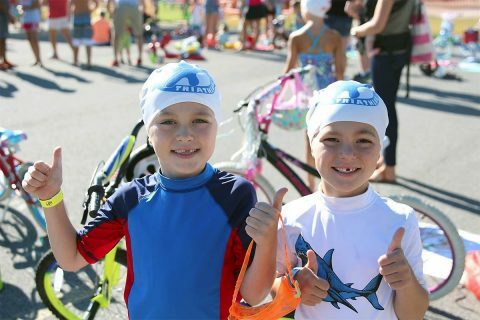 Wonder Kids Triathletes will participate in the three segments of a traditional triathlon: swimming, biking and running. Clarksville Parks and Recreation’s Wonder Kids Triathlon set for August 4th. Clarksville, TN -First, let me apologize for not posting any new content in a while. I took a week off and went to the beach with my son and his family. As grandparents, we serve a vital function on the family vacation. I rode the Harley while following two cars. My wife in one, daughter-in-law in the other. Two kids and a baby. 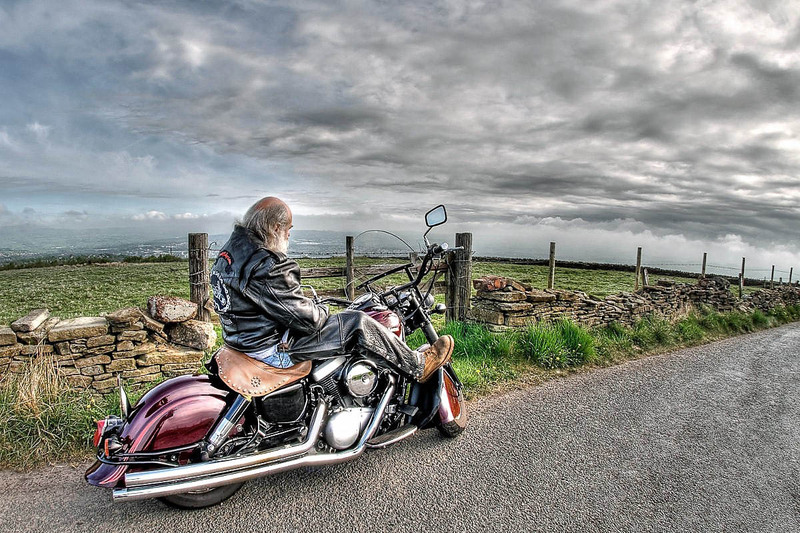 The interstate is how we went. I was ok until about 2:00pm when the temperature hit 98 degrees. We stopped frequently, I kept hydrated, lots of gatorade and water. I travel with a water bottle, so other than the heat, I was ok.